I’ve been flying with Ryanair for as long as I can remember. Before and after I’ve had a baby. It’s cheap if booked well in advance, most of the time on time, and gets me from A to B.
I know, many people find the customer service appalling and their strict baggage and check-in rules and fines outrageous. There are so many horror stories about this airline, and it might not work for everyone but for us it’s great. I know what to expect and I don’t expect anything extra for the price I pay. As long as you follow their strict rules, you can easily avoid any unnecessary drama at the airport. These days, with a baby on board Ryanair flight, things are a bit different. It’s not as straightforward as it once was. Every parent will tell you how challenging flying with small kids can be. 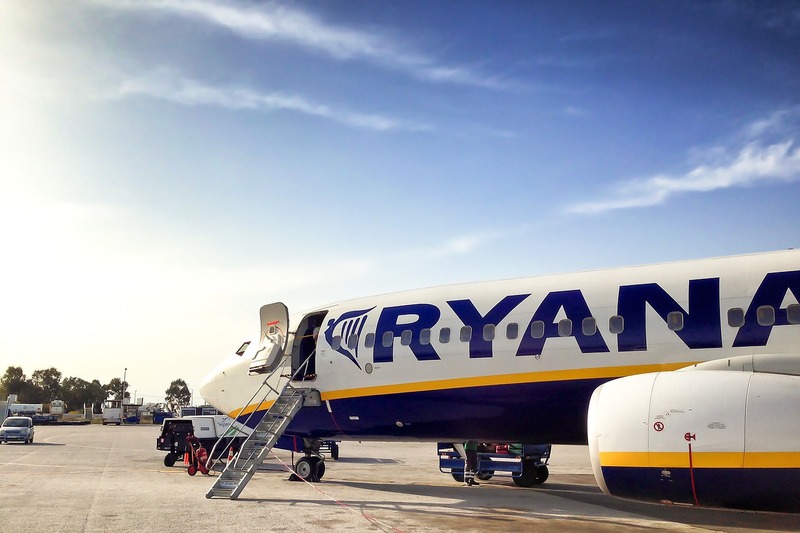 So after being on several Ryanair flights with my little one, most of the time solo, without the help of my other half, let me share some tips that might make your Ryanair experience with an infant just a little bit easier. If you have some more tips or advice, don’t forget to share them below. You get what you pay for with Ryanair. So if your flight costs less than one of your trips to a supermarket, don’t expect a luxury and a first class service. There are no free meals or drinks included. If you don’t want to pay a ridiculous amount for some snacks, get your own. Simple as that. Although I can go without any food on a two-three hour flight, I always pack some extra snacks for the little one. You know, flights are no fun for babies and toddlers, so food can provide some additional form of entertainment and distraction as well as keeping their bellies full. A win win. With Ryanair, you are likely to fly either early in the morning or late in the evening. 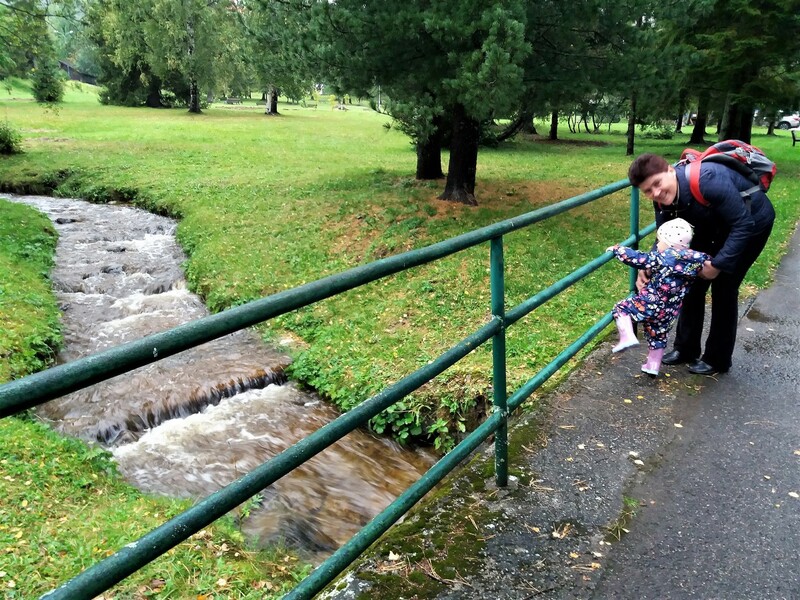 We’ve travelled mainly in the evenings with the little one and most of the time it was fine. Although I have to say that the older she gets, the more struggle it is to put her to sleep on board an aircraft. It’s not anymore a simple case of her dozing off with the sound of the engine during take off. Morning flights can be great for others and if you are one of those people, please share your experience below. Have you found early starts better on your kids than coping with overtired baby or toddler? Morning or evening, be prepared for some early or late hours when flying with Ryanair. While there is about zillion of all kinds of extras you could purchase with your flight, you won’t need the majority of them. The one thing that I don’t mind paying few extra quids for is the selected seat. You may consider choosing a seat at the back of the aircraft and here’s why. Baby changing facilities are located only at the rear toilets on Ryanair aircrafts. Trying to navigate from front rows while holding your baby might be tricky. You have to squeeze in between other passengers and flight attendants who are constantly trying to sell something. Not ideal. Plus, the small space at the back of the aircraft is a good place when I want to put my baby to sleep. You can block her views of other passengers and somewhat limit the distractions around. It works most of the time. I tried the front row once, for the extra legroom, but the little one struggled to get some sleep there. I tried walking down the aisle and rocking her to sleep at the front of aircraft but it didn’t work. 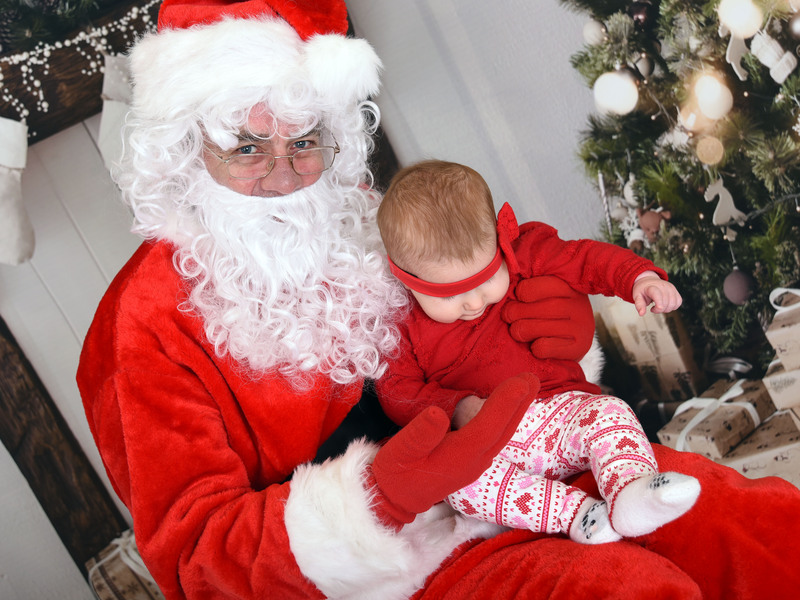 She was too upset seeing so many people around. In the end I went to my favourite spot, the back of the aircraft. Since then, I’m always choosing the back seat. Changing a nappy can be quite an experience. I don’t know about other airlines but Ryanair’s baby changing facilities are small. Really small. I’ve only done it once, when my baby was six months old. She was just becoming a bit more mobile so trying to hold her with one hand while changing the nappy and dressing her with the other in such a limited space was no fun. I always change her right before the boarding starts. I know, that doesn’t guarantee that there won’t be a need for a nappy change on board but still, do it before and just hope for the best. When you fly with Ryanair and have an infant, you are allowed to take a 10kg hand luggage as well as a smaller 5kg baby bag on board. What I’ve learned after several solo flights with my baby? It’s so much easier to pack everything necessary for the duration of the flight in my baby bag and let my hand luggage go on hold before boarding the plane. It’s no fun trying to juggle a not-so-happy infant in one arm and carry your cabin bag and baby bag on board in the other arm. 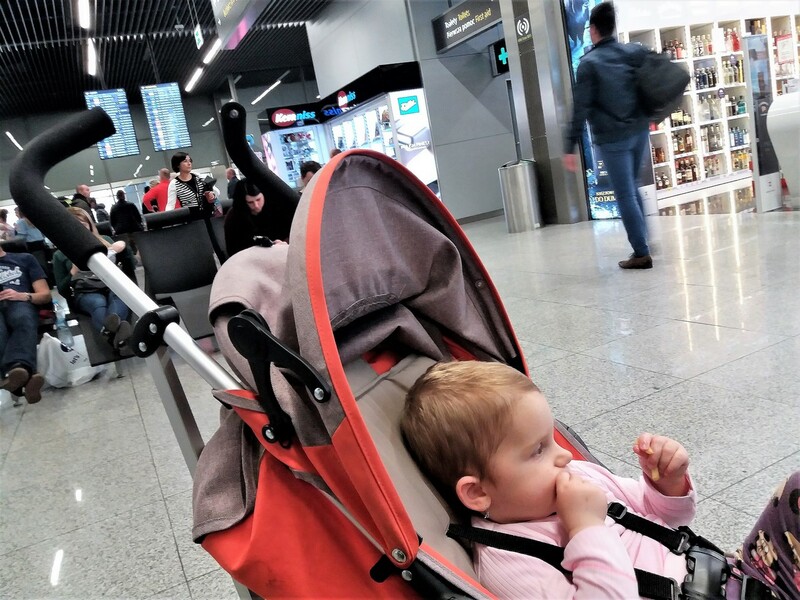 When you queue at the gate, you can get a yellow tag on your hand luggage and you can then leave your bag at the stairs of the aircraft together with your pram and board the plane only with your baby bag. The baby bag can easily go under the seat in front of you, so you have everything you need handy. And you don’t have to worry about finding a space for your bigger cabin bag in the overhead lockers. Flying Ryanair with your baby can be done. It’s really not that much of a difference than flying with another airline, once you know what to expect and are prepared. And although it’s hard to believe, some of Ryanair staff can be quite pleasant and helpful. I think the little one actually had a crush on one of the male cabin crew during our last trip. She certainly enjoyed all the attention she got. Have you got any more tips for flying Ryanair with small kids? Share your experience below.